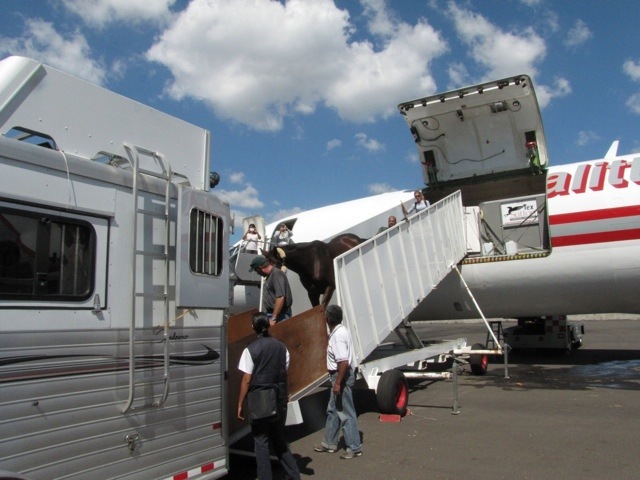 This afternoon was a busy one with the next horse flight coming in…the Canadian and US Eventing teams + 1 Argentinian eventer. 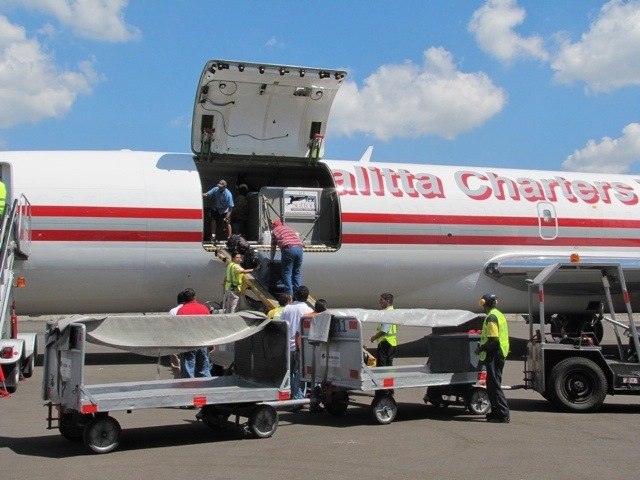 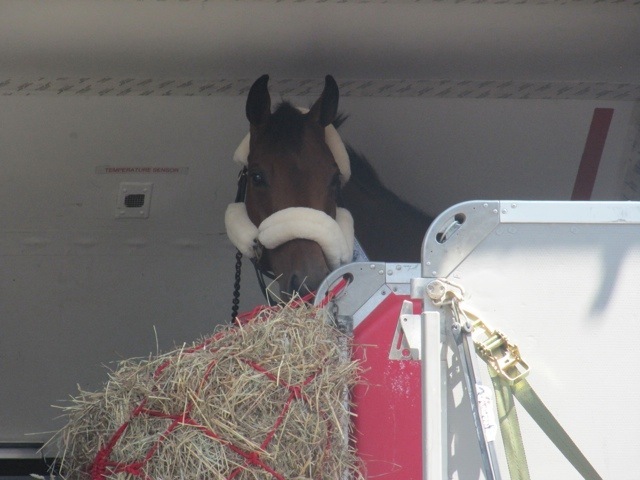 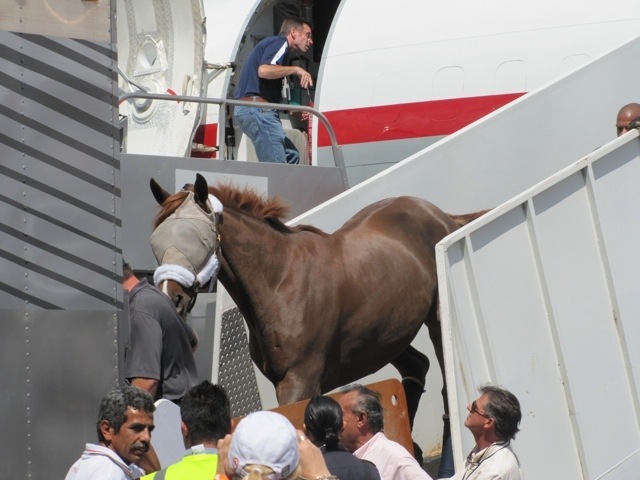 The flight was a smooth one, with all horses traveling very well and arriving slightly ahead of schedule. 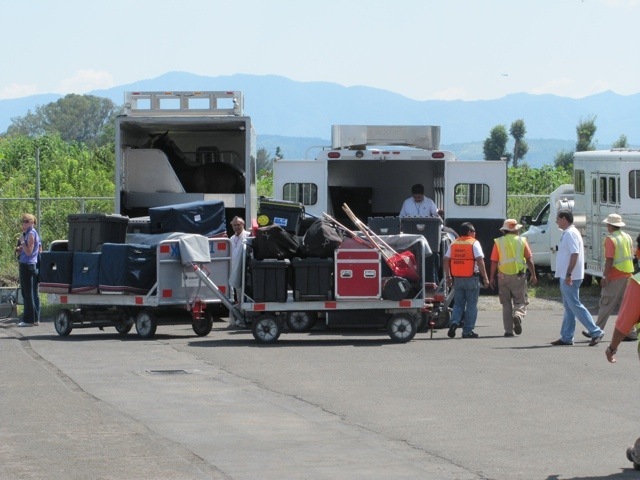 Under sunshiny skies, the equipment and horses were unloaded quickly. 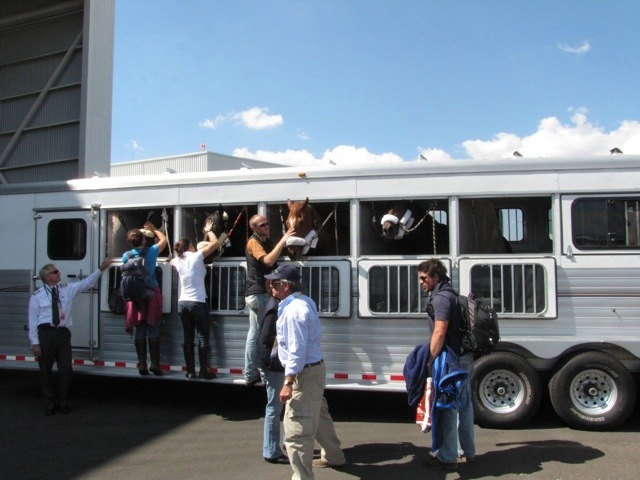 Guadalajara airport has never rec’d horses prior to these Pan Am Games, and the airport officials/customs etc. 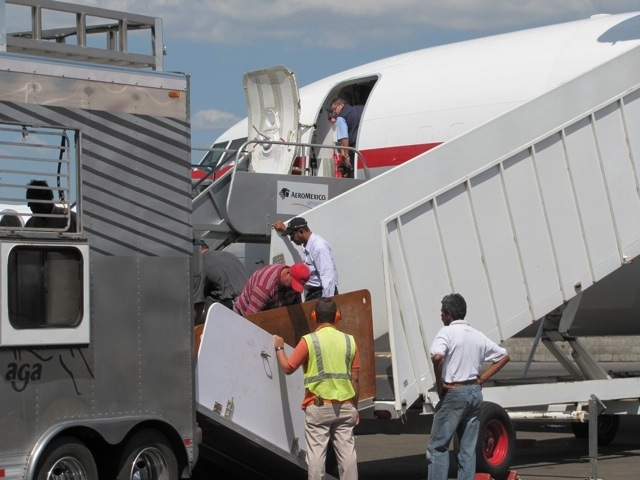 are starting to become familiar with the routine. 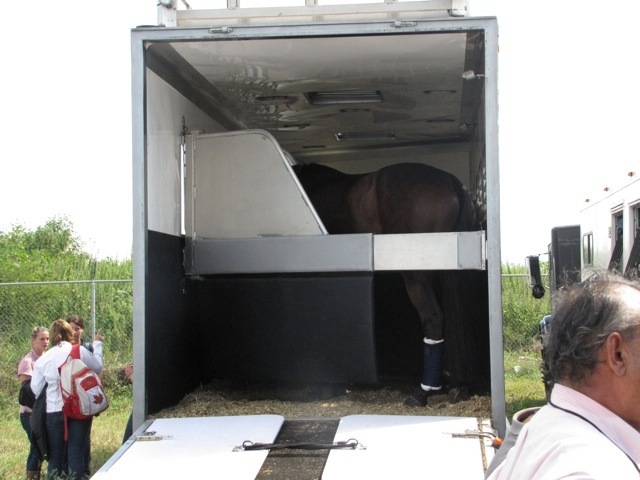 Things moved so quickly that I was hopeful it wouldn’t be too late a day, but unfortunately the customs officials insisted on opening each trunk to inspect it prior to loading it onto the trailer. 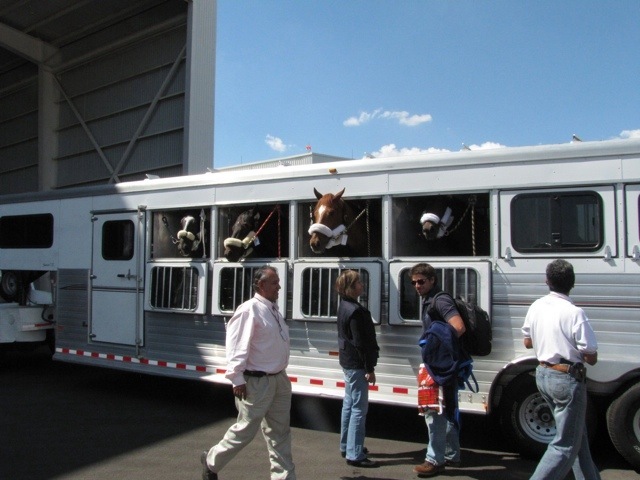 But it wasn’t too long before the horses were on their way to the Club Hipica. 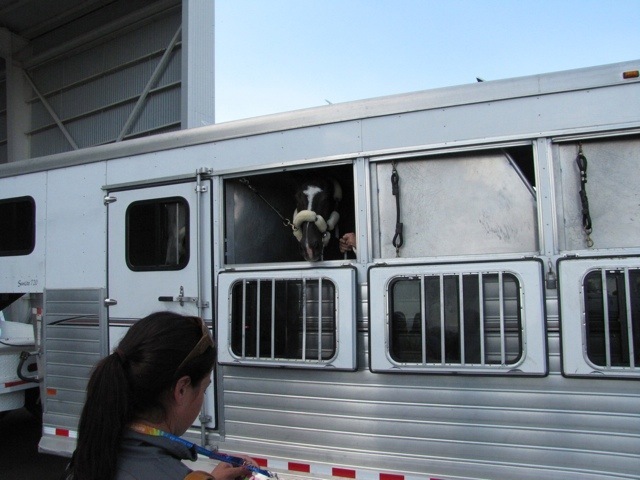 Tomorrow’s schedule includes a trip to the Eventing Grooms’ hotel, where despite us visiting yesterday to confirm the 3 rooms we require ( I even left a spreadsheet which included the grooms’ names), they only gave us 2…..that doesn’t work when you have 4 female grooms and 1 male. 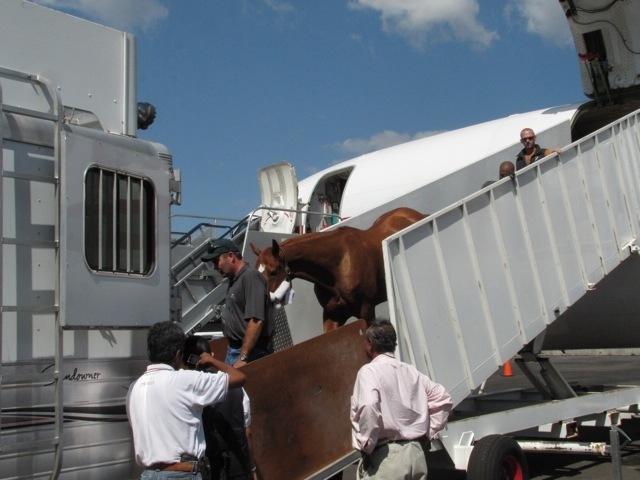 We’ll then stop by Club Hipica to see how everyone is doing, and hopefully pick up all of the Owner Accreds which we’ve been trying to get since arriving here 1 week ago! 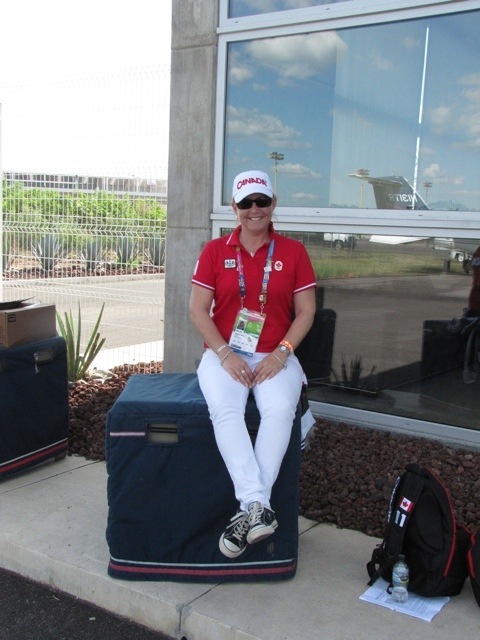 Off to bed now….so here are some pics from today.